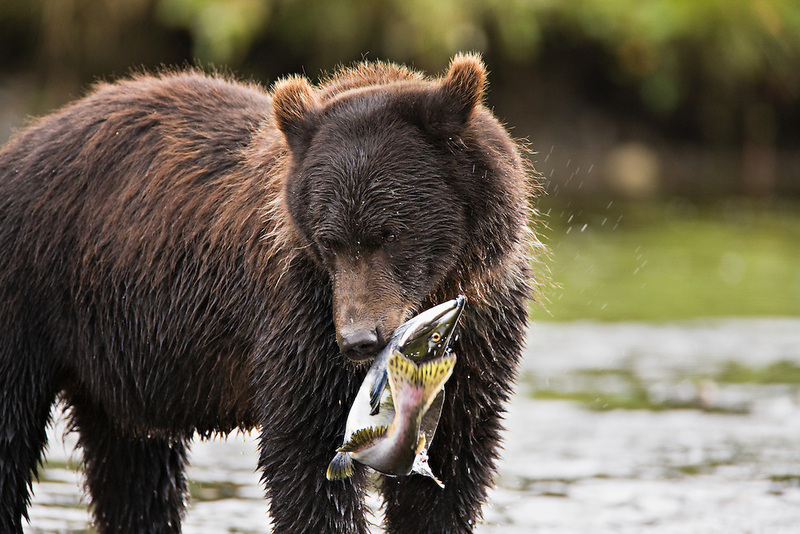 A brown bear feeds on spawning pink salmon in a salmon stream in Windfall Harbor of Admiralty Island National Monument in the Tongass National Forest of Southeast Alaska. Summer. Morning.